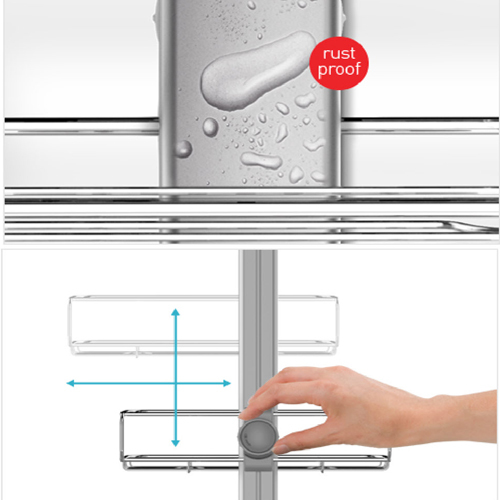 The simplehuman Adjustable Shower Caddy Plus comes with stainless steel and aluminium finishes, the range of shower caddies from simplehuman are incredibly innovative, flexible, functional and wonderfully stylish. This simplehuman caddy comes with a quality White Egyptian Cotton Flannel absolutely free with every order. 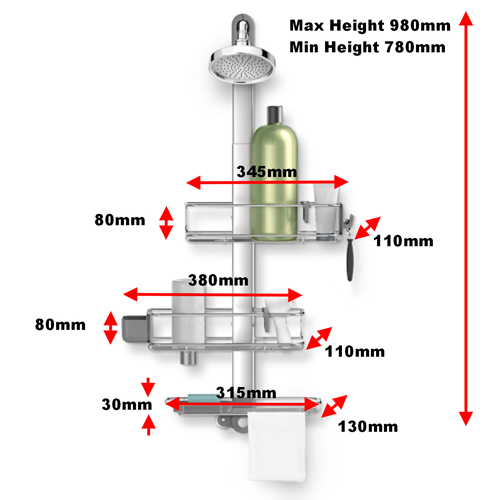 This unit is designed to hang from a fixed shower head or a wall fixture in the shower and has a clever lock and suction mechanism to hold the shower caddy in place. We also offer an optional wall bracket, which you can utilise instead of using the shower wall outlet as the Americans do. It either screws or glues to the tiles / wall board and it's totally secure. It makes hanging your new caddy a pieece of cake. 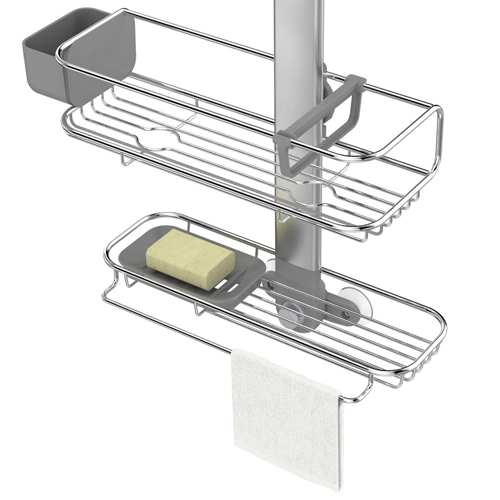 It has three shelves and hooks to hold or store razors, plus a clever part that holds bottles upside down to dispense liquids quicker and organise all your stuff. Adjusting the shelves is easy ! Simply flip the tabs and slide shelves up or down to the desired height and flip the tabs down to lock in place. 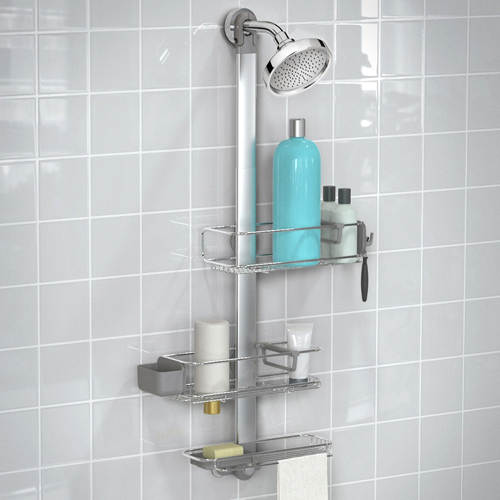 This adjustable shower caddy is sleek, good looking and an extremely well made piece of essential bathroom equipment.